We celebrate so much junk and overlook so many treasures. 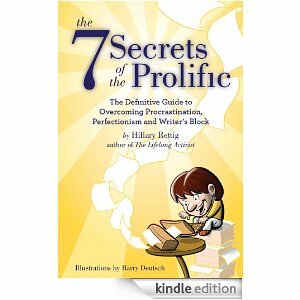 Not that Hillary Rettig’s The 7 Secrets of the Prolific is obscure or lost, but if you’ve read it you have to wonder why it is not universally acclaimed, and world famous. This is an important book. Apparently she started out to write a book about helping writers overcome writer’s block, and certain other problems common to that line of work. She ended up with so much more. The teachings in this book can be applied to any type of work, for one thing. Replace the word “writer” with whatever you or your employees do for a living, and you have a very powerful tool in your hand. This is a book about unleashing your productivity. But beyond that, she identifies issues in human nature and psychology that I don’t recall reading elsewhere. And this is no dry academic piece. It is very readable, stated in comprehensible English all the way. Ms. Rettig deals with procrastination and perfectionism, among other things. I may have suspected a link between the two, but she spells it out in no uncertain terms. 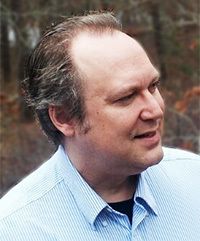 Procrastination, which damns so many careers and lives, is the baby of perfectionism. The inflexible mind of the perfectionist lapses into procrastination rather than face the unattainable, impossible goals he has set. The perfectionist lives in terror of failure, but failure is all he can have. He sets extremely unrealistic goals, and then brutally berates himself for the inevitable failure when it happens. The scariest part of all this is how commonplace it is. I saw a lot of it in myself as I read the book, and moreover I saw it in a glaring, hard-to-miss way in the world around me. The attitudinal flaws she is writing about cost our economy billions in lost productivity, not to mention plain old human misery. Perfectionism is only part of this fascinating book by Hillary Rettig. It is a slender volume, less than 200 pages. But there aren’t many wasted words. I was impressed all along with the amount of information per page. I would often reread a page just to make sure I had it all. It is no exaggeration to say there is great wisdom in The 7 Secrets of the Prolific. This is one of the few books I will actually speak up to recommend.